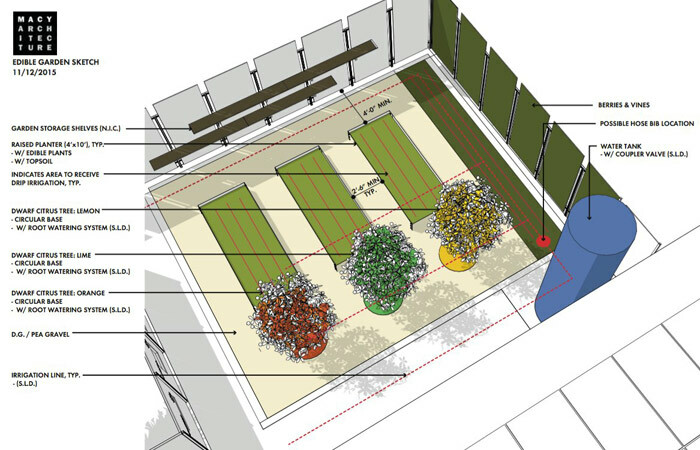 The Urban Farm holds three large raised planter beds, and a series of hanging planter boxes, for a total of 120 square feet of gardening space. Planters hold both succulents and vegetables. The Farm is irrigated via the nearby rainwater cistern, and city water is available as backup.